Cloud Computing Disaster Readiness – Be Prepared! The advent of cloud computing disaster readiness has been gaining consistent velocity as businesses across the planet are moving to cloud computing to optimize their revenues, cut IT costs and initiate a more intelligent approach to information technology within their organizations. From public clouds accessible to anyone with a laptop, to private clouds serving small and midsize businesses of every genus, the future appears distinctly cloudy – in the best possible way. There are myriad of ways that cloud computing disaster readiness can optimize and fortify a business, but a single major advantage often goes neglected until its’ simply too late. We all respect how crucial our business data is to our business survival, and how devastating the loss thereof could be in the wake of a fire, flood or other natural disaster. We also shudder to imagine how we might manage a complete systems failure, which can bring the entire business to a stop in a just seconds. It is increasingly apparent that most small and medium sized enterprises could not stay afloat where vital data suddenly became unavailable. It only makes sense to include and prioritize for disaster readiness and recovery via cloud computing. In addition, much of the IT cost and effort that accompanies managing a local office server or data center is eliminated by cloud computing, such as the incessant updates and increasingly arising compatibility issues. 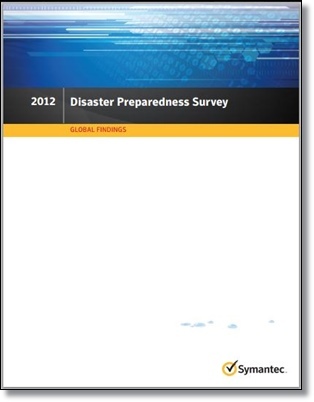 The following Disaster Preparedness Survey taken by software security giant Symantec in 2012 clearly shows that cloud computing disaster readiness is being embraced in North America and everywhere. Both public and private companies small, medium and large are preparing contingency planning involving cloud computing disaster readiness and virtual private servers. Stay ahead of the game when it comes to business by thinking about the inherent advantages of cloud computing… and remember us, Cloud9 Real Time, the number one choice of financial and accounting professionals surveyed.